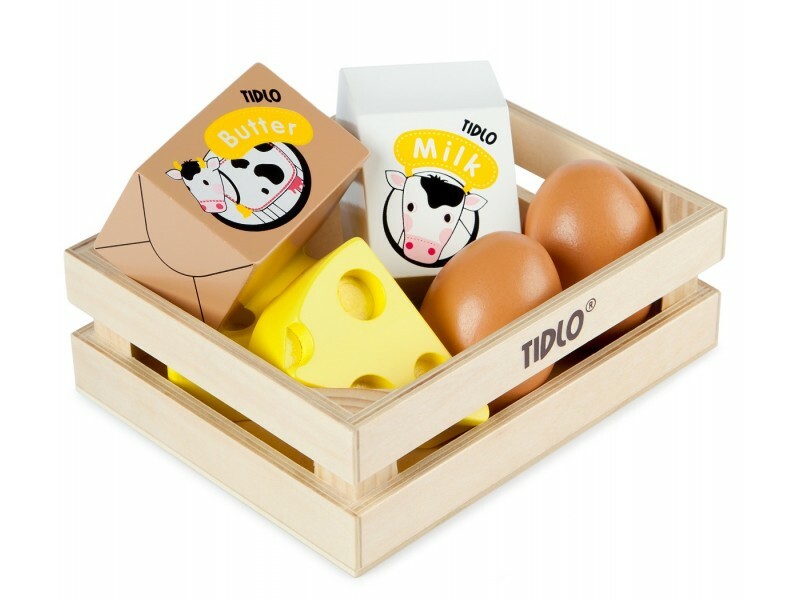 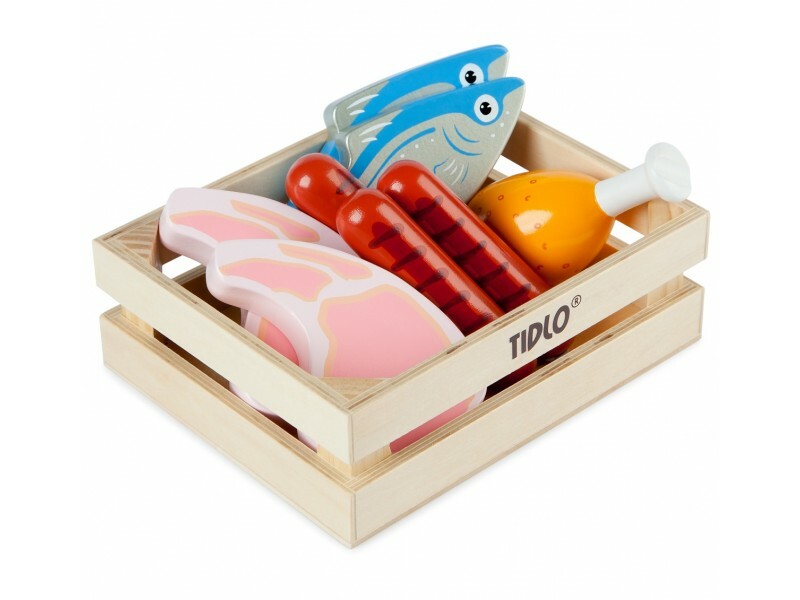 Save over 10% when you buy all four sets of our wonderful play food crates from the Tidlo range. 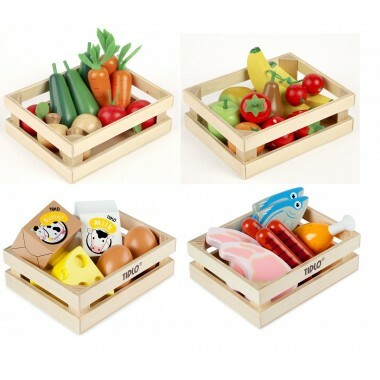 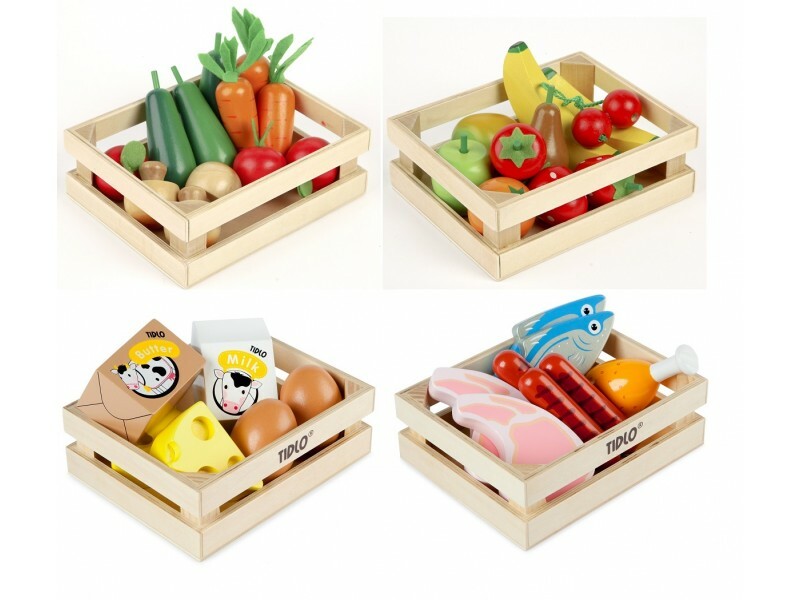 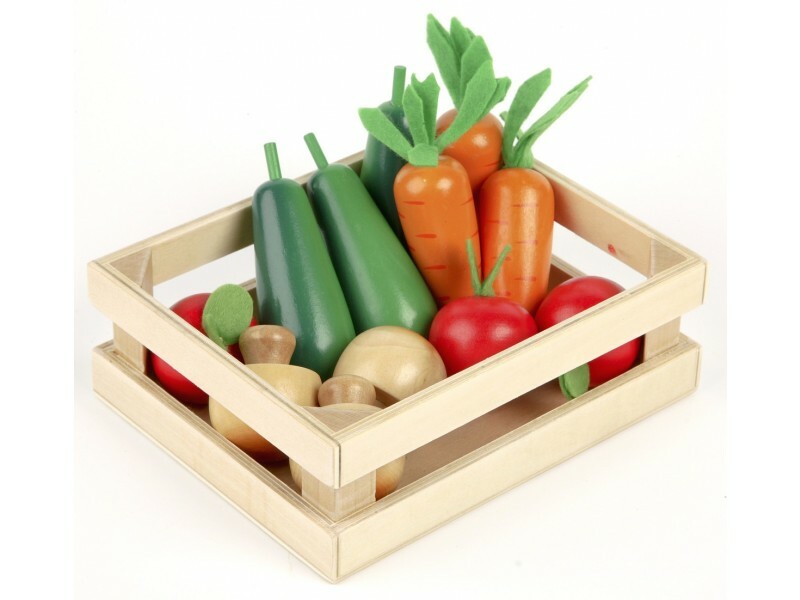 These pretend play wooden food and crates are ideal for home play as well as in nurseries and schools to teach children all about food groups and healthy eating. 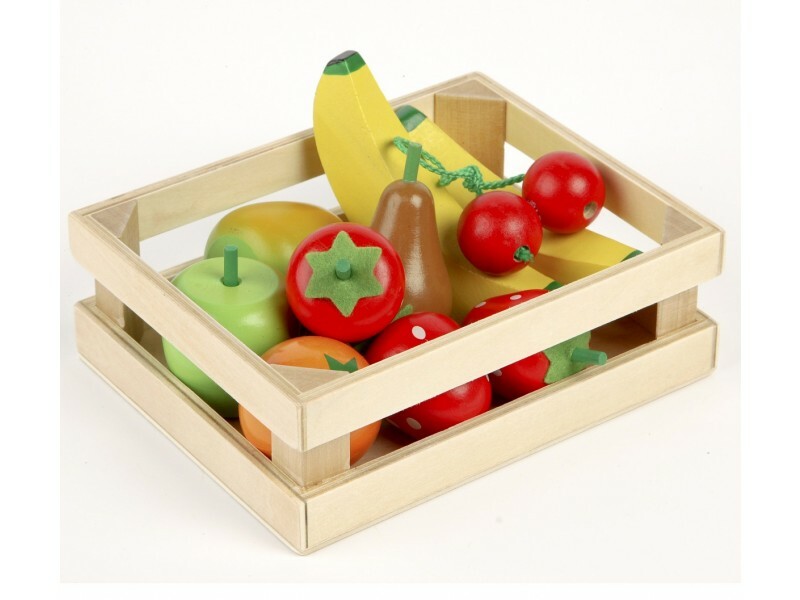 Beautiful wooden produce for my daughter's play shop. 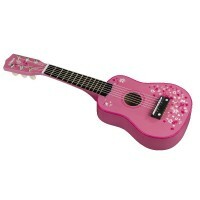 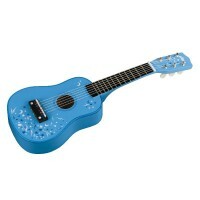 A bit expensive but looks like it will last well.